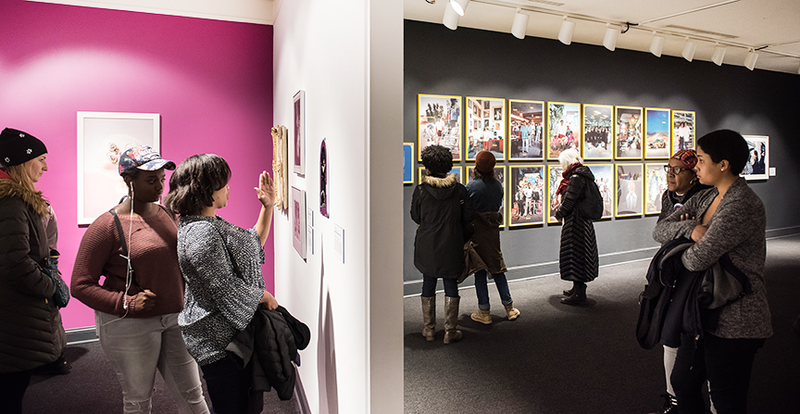 At the National Museum of Women in the Arts, we regularly rotate our collection to spark new thematic connections. This is an essential part of our curatorial philosophy. In a six-post series, I will explore the themes featured in our most recent collection installation. Throughout Western art history, women artists have distinguished themselves by persistently and successfully working within a system that has tried to suppress them and/or devalue their efforts. Not to be dismissed, they charted their own courses, petitioned for admittance to all-male art schools and artists’ organizations, and developed their own networks. Beginning in the 20th century, many women artists boldly engaged with social issues and embraced their roles as advocates. These visionaries demonstrate that revolution comes in many forms, and their voices are alternately gracious, shrewd, fierce, and funny. In our “Rebels with a Cause” gallery, these artists—and often the individuals they portray—demonstrate that women have blazed trails and propelled change for centuries. Born in 1552, Italian Renaissance painter Lavinia Fontana (1552–1614) is regarded as the first professional woman artist in Western Europe. Not only did she work within the same sphere as her male counterparts, but her husband gave up his artistic ambitions to manage her career and their household. Through eleven pregnancies, Fontana produced vibrant, detailed works, and eventually became a portraitist at the courts of several popes in Rome. What If Women Ruled the World (2016), the six-foot neon sculpture by Yael Bartana (b. 1970), raises questions around gender equity, national identity, and the fate of humanity. The piece is inspired by Stanley Kubrick’s 1964 film Dr. Strangelove, in which a select group of powerful white men assemble to discuss options for survival in the face of an accidental nuclear Armageddon. Bartana’s piece proposes and proclaims a more peaceful alternative to this vision. This entry was posted in Artist Spotlight, Director's Desk, From the Collection and tagged Amy Sherald, Guerrilla Girls, Lavinia Fontana, Yael Bartana by Women in the Arts. Bookmark the permalink.